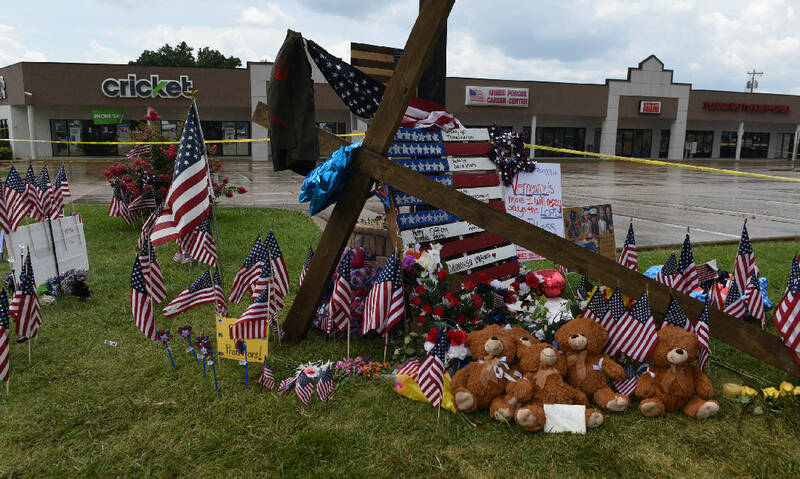 Seen on Sunday, July 19, 2015, in Chattanooga, Tenn., crosses, flags, signs, stuffed animals and other mementos make up a memorial in front of the Armed Forces Career Center on Lee Highway in the aftermath of a Thursday terrorist attack that killed four Marines and one member of the U.S. Navy. Funeral services will take place Friday for Staff Sgt. 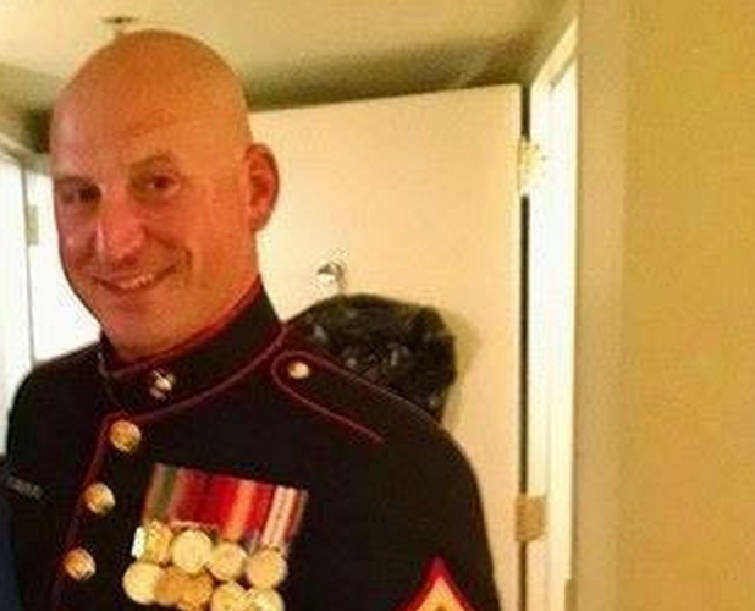 David Wyatt, one of five military service members killed by a gunman last week at the U.S. Naval and Marine Reserve Center on Amnicola Highway. David Wyatt was identified as the third victim, The Tennessean reported. Wyatt was originally from Russellville, Arkansas, and was married with two children. Chattanooga Funeral Home North said on its website that services are set for 1 p.m. Friday at Hixson United Methodist Church, 531 Old Hixson Pike, with the Rev. Reed Shell and Navy Chaplain Cmdr. James Storie officiating. The North Carolina native, who joined the Marines after the 9/11 terror attacks, lived in Hixson with his family. On Tuesday, the obituary for another of the slain Marines, Sgt. 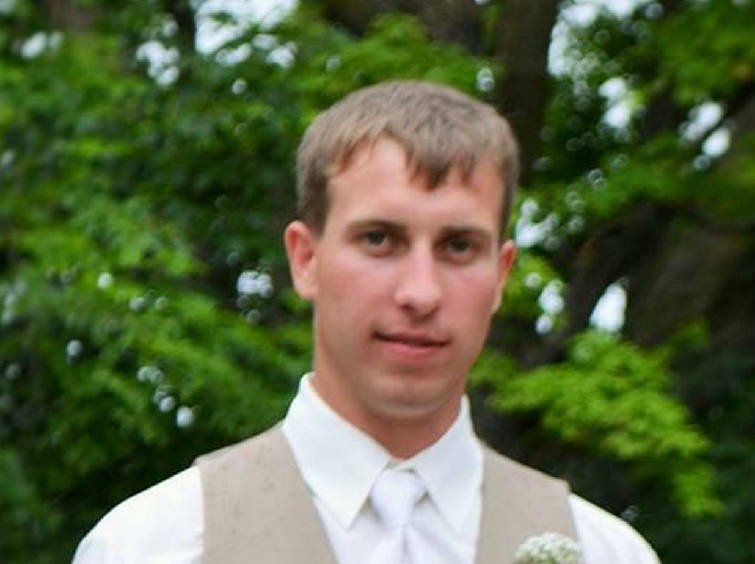 Carson Holmquist, was released by his hometown funeral home in Webster, Wis.
Holmquist, 25, was a native of St. Croix Falls, Wis., and graduated from Grantsburg (Wis.) High School in 2008. The obituary said he loved farming and worked on a Grantsburg farm throughout high school. He also loved his family and friends, was a avid fisherman and enjoyed cars and trucks, his obituary said. He joined the Marine Corps in 2009 and was part of Mike Battery, 3rd Battalion, 14th Marine Regiment, 4th Marine Division, Marine Force Reserve. Holmquist was a diesel mechanic specialist with service in Okinawa, Japan, and in Afghanistan in 2013-14. He earned the Navy & Marine Corps Achievement Medal, the Afghanistan Campaign Medal, a Global War of Terrorism Service Medal and two Sea Service Deployment ribbons. He is survived by his wife, Jasmine, whom he married in 2012, and son, Allan Wyatt, and his parents, Thomas and La Brenda Holmquist. Funeral services will be announced later. Pallbearers are the U.S. Marine Honor Guard. Arrangements are by Swedberg-Taylor Funeral Home Webster, Siren and Grantsburg, Wis.